Shearing is back breaking work that takes a lot of skill. 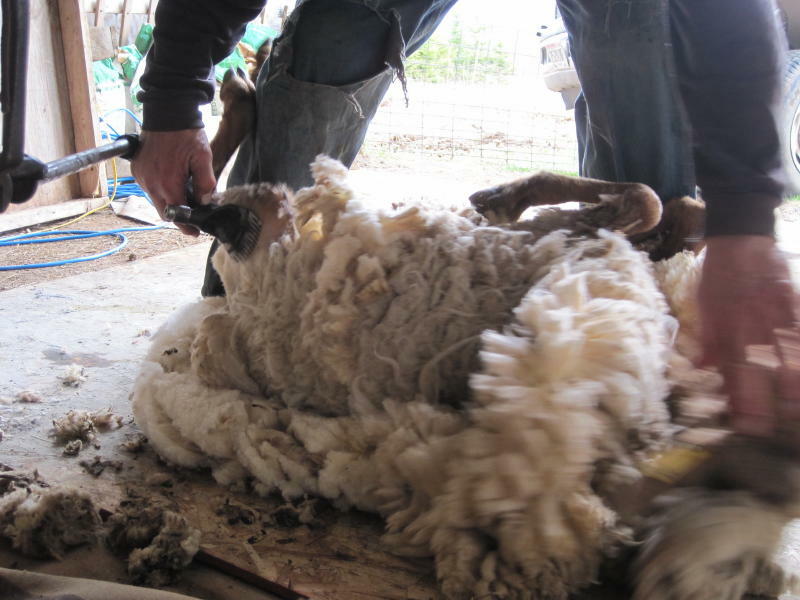 Like many toddlers getting a hair cut is not a favorite sheep activity and getting them to hold still for a full-body shave is an art in itself. We are lucky to have a neighbor who's been shearing sheep for years. 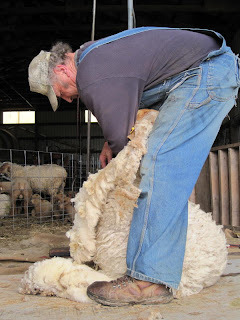 He knows how to keep them calm and produce a well-shorn ewe with nary a nick. The biggest trauma comes after the shearing when the sheep have to get reacquainted with their new looks. 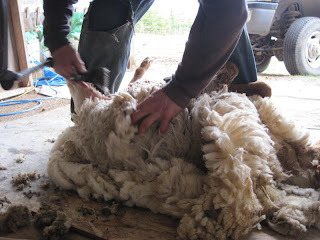 There will be many sad shepherds in this part of the state when the time comes for him to put away his shears.